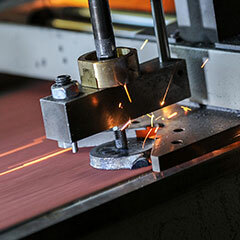 Spark spectrometry has established itself as the standard method of analysing metallic materials. Being highly precise, accurate and quick, this method has become an indispensable aid for production and quality control when manufacturing and processing metallic materials. OBLF has been manufacturing spark spectrometers in various models that satisfy the highest analytical requirements for several decades. 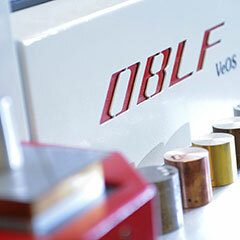 With regard to fully automated production control, OBLF is long-established as a specialist for providing suitable spectrometer technology. Depending on the degree of automation required, we can provide small compact systems including sample-handling and sample-preparation robots and the spectrometer itself or can provide solutions for the integration of spark OES in more extensive automated systems. 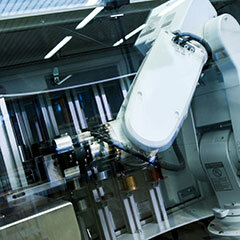 In providing such solutions, OBLF works together with renowned partners. Reliable spectral analysis relies on proper sample preparation. To satisfy these requirements OBLF developed an automatic grinding machine that guarantees a quick and consistent sample surface, a particular benefit when it comes to production samples.